Sasa, 50, has a PhD from the University of Ljubljana and a MBA from IEDC Bled School of Management. With more than 20 years' experience in pharmaceutical and R&D organisations, Sasa has worked as advisor for leading investment funds, multinational professional service firms and pharma/biotech companies. In his capacity as Business Development Director he helped build Walmark, a European based consumer healthcare company and founded City Medical Center, a family medical centre located in Lithuania. 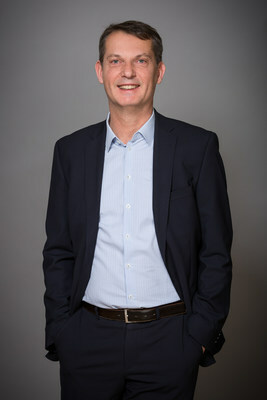 From 2010 to 2015 Sasa was the Head of International Pharma Development in Sanofi building global product development strategy, operating worldwide. Bertrand DELUARD – CEO of Group Ethypharm - commented: "Sasa has an excellent and specialized knowledge of the pharmaceutical industry needed to enrich our R&D product portfolio in accordance with the Ethypharm Specialty Strategy in our 3 key therapeutic areas: pain, addiction and critical care." "Our R&D team is focusing on speciality care and innovation with ambition to build valuable and sustainable portfolio to meet our patient's needs in the areas of Pain management, Addiction drugs and Critical Care," added Sasa LESKOVSEK- Director of Scientific Affairs of Group Ethypharm.